A playwright interested in the intersection of fact and fiction. O Guru Guru Guru, or why I don’t want to go to yoga class with you received its world premiere at the 2013 Humana Festival of New American Plays and will be produced by Carolina Actors Studio Theatre in November. Her play queerSpawn (a commission from the COLAGEfoundation) premiered spring 2013, produced by a Collection of Shiny Objects at HERE Arts Center, NYC. Other plays include Breaks & Bikes, fracture/mechanics, The Past is Not a Foreign Country and everyone they knew was famous. 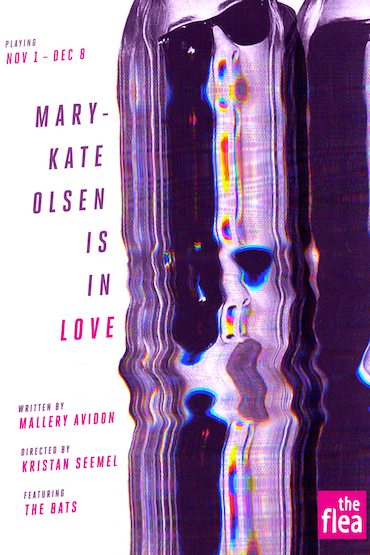 Mallery’s work has been produced by Pavement Group, Target Margin Theater, On The Boards, angry BLVD & Williams College Summer Theater Lab and developed by Playwrights Horizons, Bay Area Playwrights Foundation, IRT Theater, Seattle Repertory Theatre and New Century Theater Company among others. Mallery is an alum of the Soho Rep Writer/Director Lab, an affiliated artist with New Georges, an artistic associate of Pavement Group and Target Margin Theater, co-curator of The Bushwick Starr’s monthly reading series & a dramaturge for the company Saint Genet. She has taught playwriting in prisons, high schools & universities. She is currently working on a commission from The Satori Group, and a series of plays based on a seven week road trip she took with DW Gibson & MJ Sieber in the summer of 2011 (www.NotWorkingProject.com) interviewing people across America who had been laid off because of the recession. Mallery holds a BFA in Theater from Cornish College of the Arts and an MFA in Playwriting from Brown University. Before coming to New York Kristan was a freelance director in Portland, Oregon for the better part of a decade. While on the other coast, he worked for eight seasons at Portland Center Stage, first as a Literary Associate and later as Corporate Development Associate during the organization’s transition into the historic Armory Theater, a world-renowned Green Building project. Kristan grew up in the theater working on new plays, serving as dramaturg on a score of premiere productions and developmental workshops. His passion for new American writing is clear from his direction of premieres such as Mutt by Lava Alapai (Many Hats Collective) and The Verspiary by Matthew Zrebski (Stark Raving Theatre) as well as NW regional premieres of Carlos Murillo’s Mimesophobia (Sand & Glass Productions), The Long Christmas Ride Home by Paula Vogel (TheatreVertigo) and Mac Wellman’s A Murder of Crows (defunkt theatre). Kristan is a recent graduate of the Brown/Trinity Rep MFA program in directing and while in Providence he helmed workshop productions Oh Guru Guru Guru by Mallery Avidon and The Darkson Chronicles by Theo Goodell. The same spark that excites him about new writing has also drawn Kristan to direct difficult classics, including recent productions of Brecht & Weill’s The Threepenny Opera, John Webster’s The Duchess of Malfi (Brown/Trinity Rep) and Hamlet (CoHo Productions). Kristan’s staging of Gertrude Stein’s Doctor Faustus Lights the Lights garnered him a Portland Dramatic Critics Circle award (Drammy) for Outstanding Direction. Some of his favorite assisting credits include A Raisin in the Sun, A Christmas Carol and Camelot (Trinity Rep). Kristan is thrilled to be in residence at the Flea and plunked down in the middle of New York’s electrifying downtown theater scene.